Collects Black Panther (2005) #1-18 and X-Men (1991) #175-176. 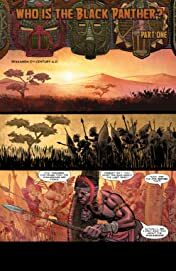 Hollywood heavyweight Reginald Hudlin takes on the Black Panther - and John Romita Jr. brings the blockbuster visuals! Together, they go back to the beginning to present T'Challa's origin in cinematic scope! 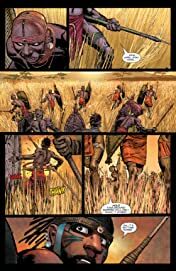 Who is the Black Panther - and what is the secret history of Wakanda? Then, social satire meets all-out action as T'Challa's adventures continue! The Panther enters the House of M! An outbreak of strange, mutated animals brings Storm and the X-Men to Africa! 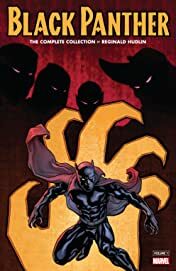 The Panther teams up with Luke Cage, Blade, Brother Voodoo and Monica Rambeau to take on the undead! But every king needs a queen, and so T'Challa embarks on his most dangerous quest yet: to wed the love of his life! Which of the world's greatest super hero women will say "I do"?